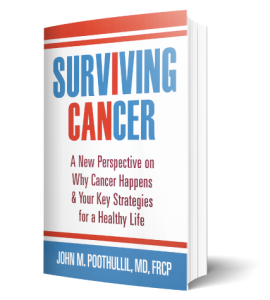 My new book, Surviving Cancer, reflects many years of research and thinking about cancer. 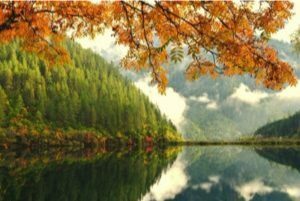 Having been diagnosed with cancer myself, I am grateful to have numerous new insights to offer anyone who has been diagnosed with a solitary cancer. My book offers ideas and recommendations that can help save lives. I recently filmed a video with my publisher, Rick Benzel, who interviews me about the book. I invite you to watch this 15 minute video. Give it your attention and you will learn much about cancer from it — especially some of the ideas from my book about how you can survive. In this Thanksgiving week, if you or someone you know or a family member has cancer, I hope you will find the time to watch. PreviousPrevious post:“Surviving Cancer” Provides Insight and Valuable AdviceNextNext post:Does Going Gluten-Free Really Help You?